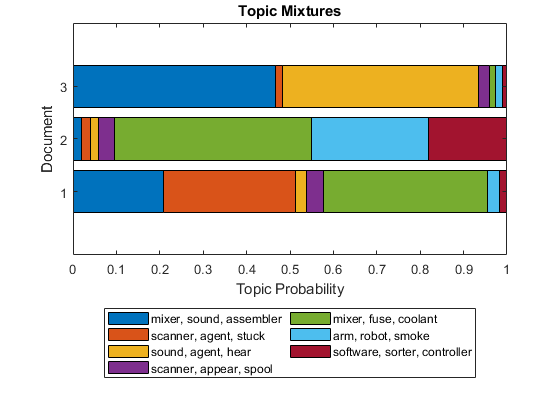 This example shows how to use the Latent Dirichlet Allocation (LDA) topic model to analyze text data. 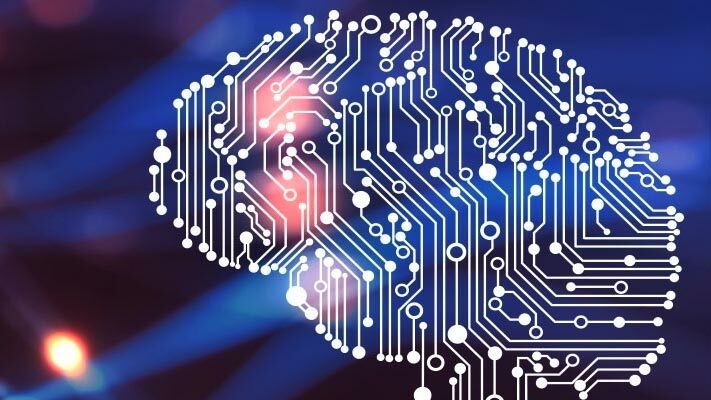 A Latent Dirichlet Allocation (LDA) model is a topic model which discovers underlying topics in a collection of documents and infers the word probabilities in topics. Extract the text data from the field event_narrative. Remove a list of stop words (such as "and", "of", and "the") using removeStopWords. Remove words with 2 or fewer characters using removeShortWords. Remove words with 15 or more characters using removeLongWords. Use the preprocessing function preprocessText to prepare the text data. Create a bag-of-words model from the tokenized documents. Remove words from the bag-of-words model that have do not appear more than two times in total. Remove any documents containing no words from the bag-of-words model. Fit an LDA model with 7 topics. 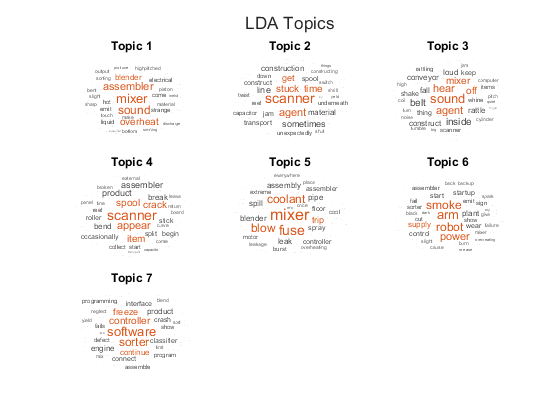 For an example showing how to choose the number of topics, see Choose Number of Topics for LDA Model. To suppress verbose output, set 'Verbose' to 0. If you have a large dataset, then the stochastic approximate variational Bayes solver is usually better suited as it can fit a good model in fewer passes of the data. The default solver for fitlda (collapsed Gibbs sampling) can be more accurate at the cost of taking longer to run. To use stochastic approximate variational Bayes, set the 'Solver' option to 'savb'. For an example showing how to compare LDA solvers, see Compare LDA Solvers. You can use word clouds to view the words with the highest probabilities in each topic. Visualize the first four topics using word clouds. 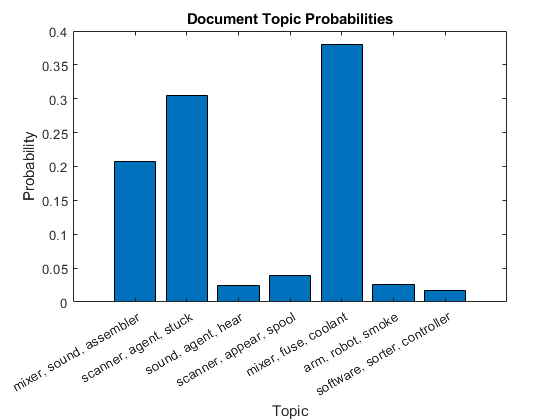 Use transform to transform the documents into vectors of topic probabilities. Visualize multiple topic mixtures using stacked bar charts. Visualize the topic mixtures of the first 5 input documents.